They can be thick and fluffy, which is the American-style breakfast pancake, or wafer-thin and delicate, which is the French-style crêpe. Allow to stand for at least half an hour or more so that the batter thickens. 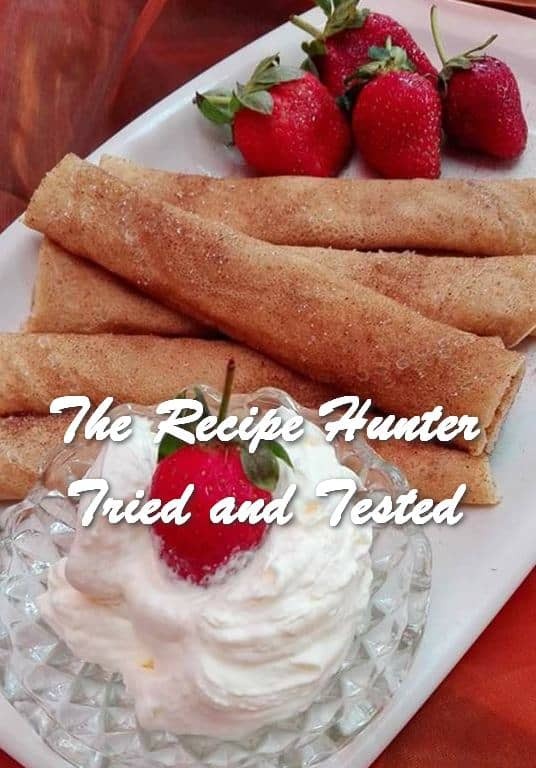 Serve with cinnamon sugar or fresh cream or ice cream.